Any Lutheran student or student in a Lutheran school is eligible. Essays and the Teacher/Pastor information should be submitted digitally using Microsoft Word by March 15, 2019. All entries become the property of Lutherans For Life. There will be a $100 award for the first place essay in each of the two categories at the State of Illinois level, $75 for the second place essay, and $50 for the third place essay. Only the first place essay from each of the two categories will advance to the national contest. Grand Prize for the national contest winning entry at each level is $250 plus free conference registration to a 2019 Regional Conference and one night stay at the conference hotel. The Lutheran Church—Missouri Synod’s Life Ministry is devoted to upholding the sanctity of human life, both in our church body and the culture at large. LCMS President Rev. Dr. Matthew Harrison denounced the abortion expansion laws in New York and Illinois signed on Jan. 22, 2019 — the 46th anniversary of the Roe v. Wade Supreme Court decision legalizing abortion in a statement. In it, he offers a continued confession of the LCMS’ position opposing abortion. The statement is available for proper use in your congregation and community. Life ministry has become an established ongoing mission of the LCMS Northern Illinois District. Educating people about life issues and providing opportunities to put faith into action is the dual focus. Established in 2015, the group was given the broad assignment of creating a pro-life climate within the NID. 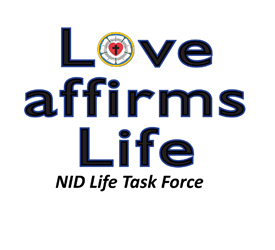 You can stay updated on the NID Life Task Force at www.nidlcms.org/life-task-force.